DUBUQUE — As of April 2, Iowa Gov. Kim Reynolds had issued state of emergency declarations for 20 out of the 30 counties in the Archdiocese of Dubuque due to flooding. With rivers and creeks expected to absorb more snow melt and rain this spring, that number could increase. Officials from Catholic Charities of the archdiocese have been making contact with local parishes, individuals and government representatives recently to assess the situation. The disaster relief ministry is prepared to assist. “It’s very unusual that we’d have this many counties declared,” said Tracy Morrison, executive director of Catholic Charities. So far northeast Iowa has been spared the extreme flooding that has been plaguing western counties and nearby Nebraska. The dioceses of Omaha and Lincoln have been particularly hard hit. Although on a smaller scale, communities in the Archdiocese of Dubuque are nonetheless seeing their share of problems. Some parish basements have been flooded, as of Witness deadline, but there had been no structural damage reported to church buildings, according to Sherman. 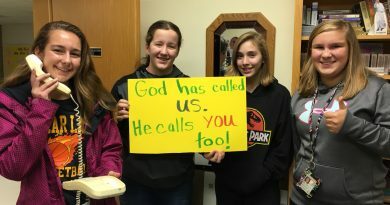 Catholic Charities personnel have also been participating in the Iowa Disaster Human Resource Council’s update phone calls to be informed about the needs and services in the flood impacted areas. For people who have been affected, Sherman and Morrison had specific advice. When the governor declares a county a disaster, that means there’s been enough damage that the Iowa Individual Disaster Assistance Grant Program (IIAGP) becomes available, according to Sherman. The state program only covers people whose income is less than 200 percent of the federal poverty line, but Sherman emphasized that everyone should apply for state aid through their local Community Action Agency regardless of income. Morrison added that individuals should take pictures, keep receipts and document all damage. Parishes can also assist by keeping track of people in their community who are impacted. Catholic Charities of the Archdiocese of Dubuque is not typically involved as a “first responder” in local disasters, but provides other support before and after. 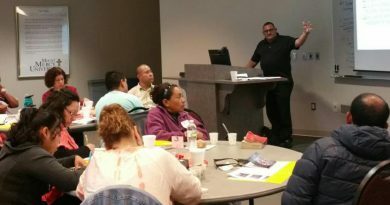 Catholic Charities regularly participates in long-term disaster recovery committees, which provide money and other support to people in the weeks, months and years after a disaster. “Historically, when major disasters have happened in the archdiocese, we’ve been much more involved in the long-term recovery end of things, meaning after the Red Cross has gone, after the FEMA assistance has been given out … all the fanfare is gone, that’s traditionally when Catholic Charities has shined,” said Morrison. Connecting them to local resources (shelters, grant funds, disaster care management, volunteer reception centers, local COADs). Coordinating volunteers to assist parishes and parishioners clean up after a disaster. Providing on-site crisis counseling services. Assisting parishes that have been impacted by disasters apply for short-term grant funding through Catholic Charities USA. Offering guidance and templates for parishes desiring to collect and distribute emergency financial assistance to impacted individuals. If you know people affected by the current flooding, Morrison and Sherman have asked that people encourage them to call their local Community Action Agency to apply for funding. 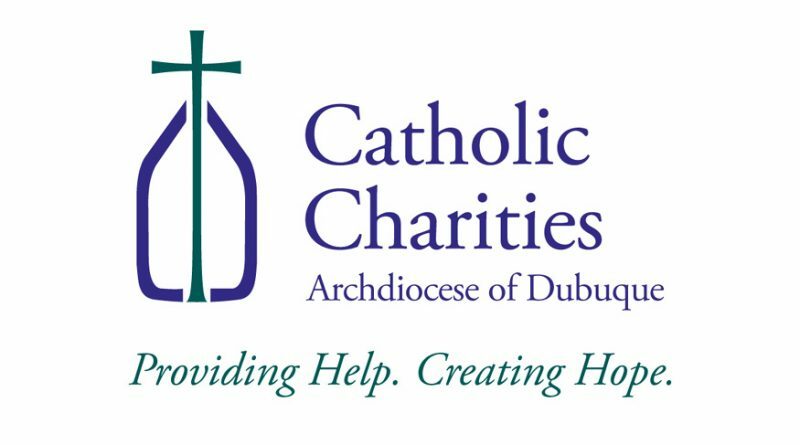 A list of these agencies can be found on the Catholic Charities disaster resources page at catholiccharitiesdubuque.org. Grant applications and instructions can be found at dhs.iowa.gov/disaster-assistance-programs. If individuals in your parish have been significantly impacted by the flooding and you would like support from Catholic Charities on how to address their needs, call the agency at 1-800-772-2758. To donate to Catholic Charities of the Archdiocese of Omaha, visit: www.ccomaha.org/. 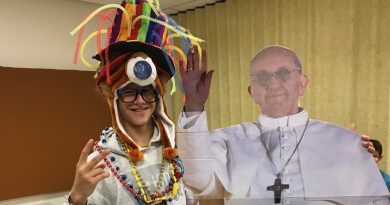 To donate to Catholic Social Services of the Diocese of Lincoln, visit: www.cssisus.org/. 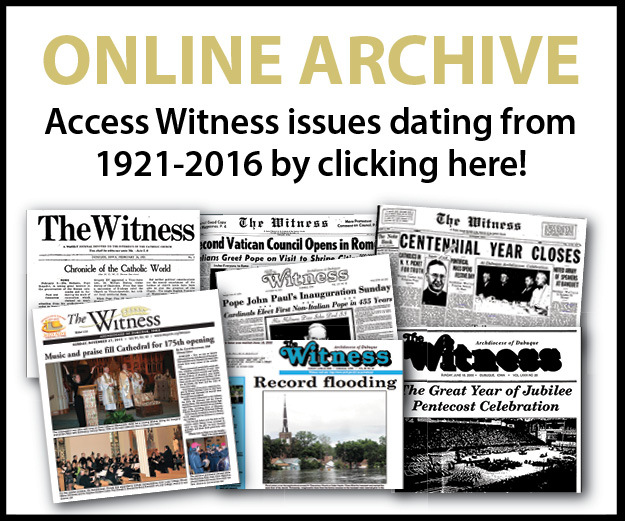 Articles in future issues of The Witness will follow up on the flooding in the archdiocese.